Logging aftermath on Gazos Creek Road. This was the first time on a ride I have seen cut redwoods lined up in such a way, this about a mile down from the Gazos Creek Road summit. I was also saddened to have to eat fried calamari at the Cliff House last night, but it sure was tasty. Call it a guilty pleasure. 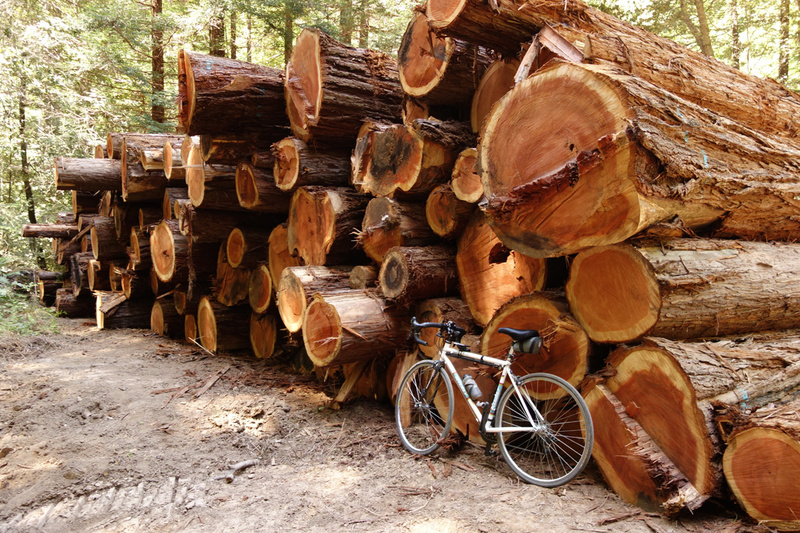 Logging goes on fairly regularly in the Santa Cruz Mountains. We just never see it. Typically the loggers don’t like to leave their wood lying around like this, especially on a weekend. 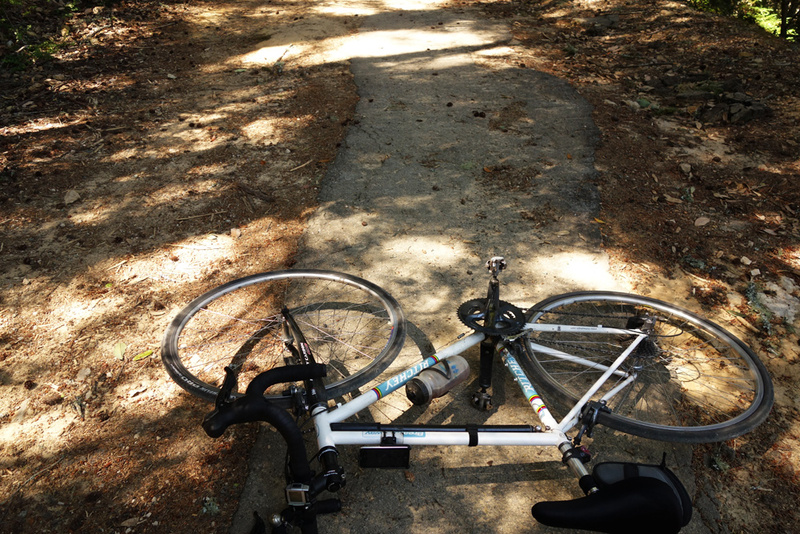 I stopped to take a photo of the pavement on upper Gazos Creek Road. I wonder how that got there, especially considering this road was never paved. Maybe some huge vehicle had to haul something heavy up the road and needed a bit of extra traction. Do you think? Pavement on upper Gazos Creek Road. Still a rough ride on a road bike. 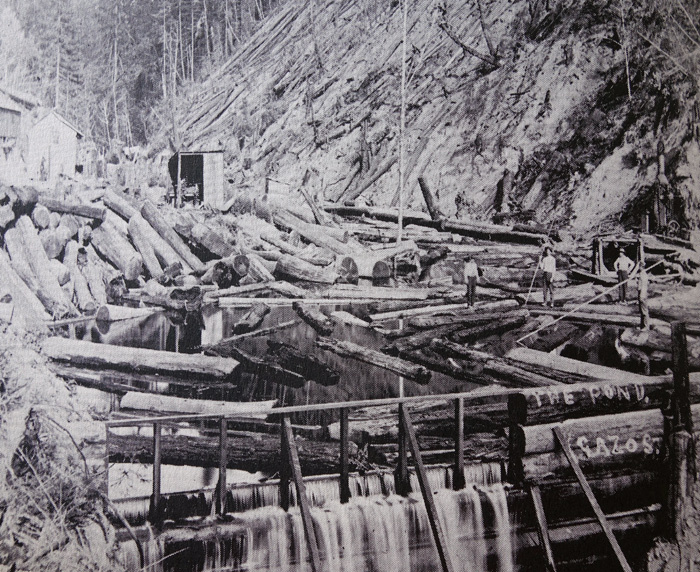 By the way, if you think logging today is a problem, the Sierra Club crowd would pass out upon seeing Gazos Creek at the turn of the century. The entire area was clear-cut. A huge dam was built on the creek for Bloom Mill, near where the road starts to climb, at what is now one of the most idyllic places on earth. 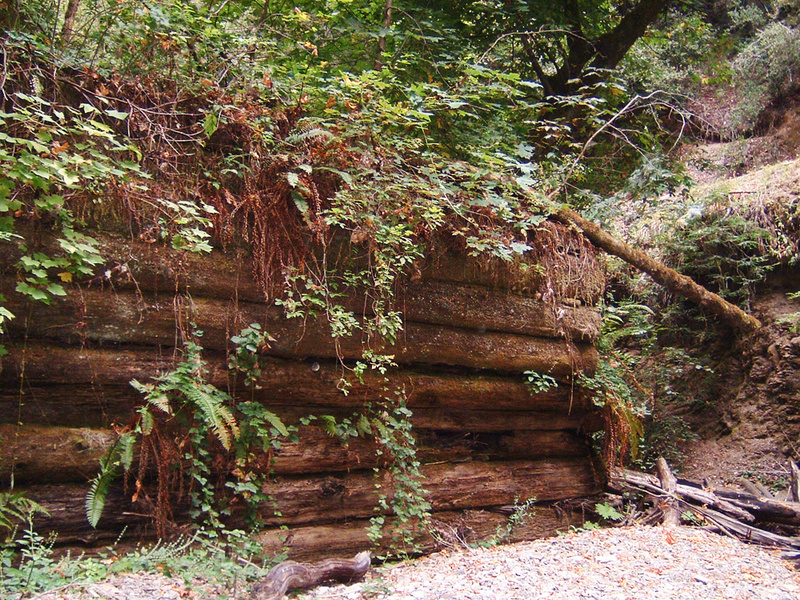 Remnant of the historic Gazos Creek dam used to pen logs at the turn of the century. Bloom Mill about 1907. From Sawmills in the Redwoods. This entry was posted on May 25, 2014 at 6:41 pm and is filed under Ride reports. You can follow any responses to this entry through the RSS 2.0 feed. You can leave a response, or trackback from your own site.